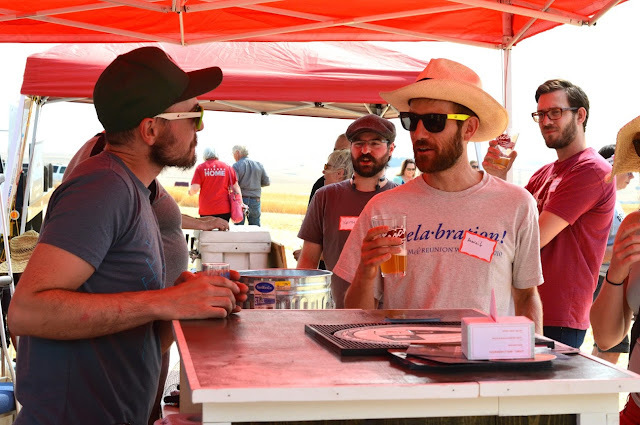 Join us August 17th, just outside of Colfax, Washington for Baronesse Barley Harvest Day! Stand in the field where the barley is grown, while enjoying brews and spirits made with Baronesse Barley. The Joseph's Grainery crew will be harvesting the 2018 crop while you tap your toes to local band, Tone Sober, and taste delicious bites made with Joseph's Grainery whole grain products. Bring your camera and your favorite friends - and experience a full circle moment - when you meet the farmer, maltster, brewers & distillers, while standing a field of Baronesse Barley! Are you a brewer, distiller, baker or restaraunteer who'd love to share what you make with Joseph's Grainery whole grains? We'd love to include you in this celebration! 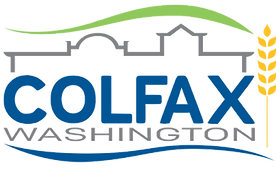 Let us know you'll be joining us and we'll make sure to have a table availabe for you. Just shoot us an e-mail here. 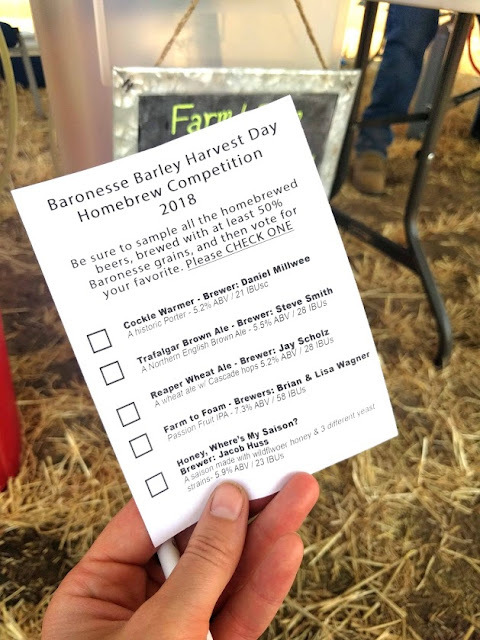 Returning again this year - we'll be hosting a Baronesse Barley Home Brew Competition as a part of the Harvest Day! E-mail us for more information or to enter the competition. a few days prior to the event! 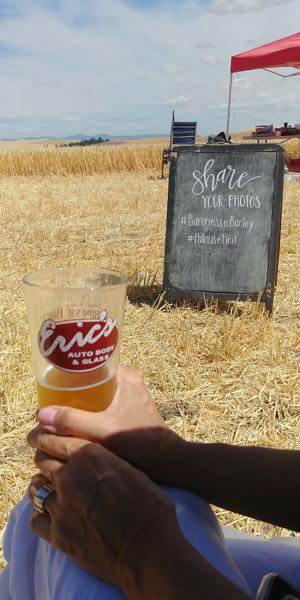 Baronesse Barley Harvest Day 2018 was an absolute success! We hope you enjoyed the afternoon, the brews and spirits and the company of all the other fellow Baronesse Barley fans. Guests enjoying the band and a moment off their feet. The Joseph's Grainery crew hard at work while we all enjoyed this full circle, Grain-to-Glass moment. A scenic brew...sorry, couldn't resist it. Warrior Liquor in the field where it was grown. Bill's favorite day of the year! Black Label Brewing Company, Bellwether Brewing & The Grain Shed - three amazing breweries under one tent. Registration and details to follow. 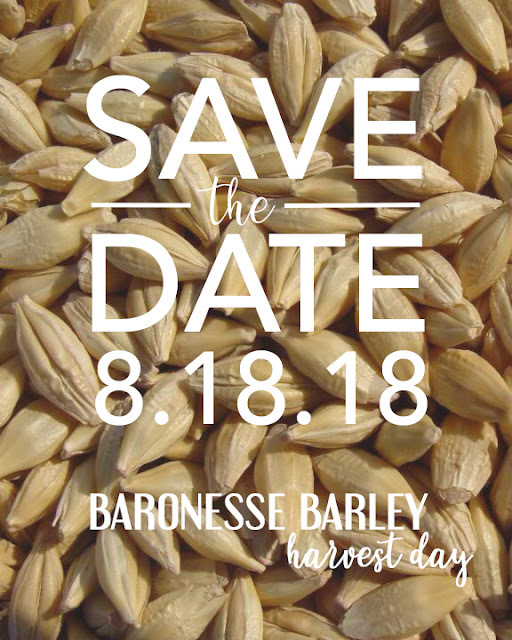 2018 Baronesse Barley Harvest Day - You're Invited! 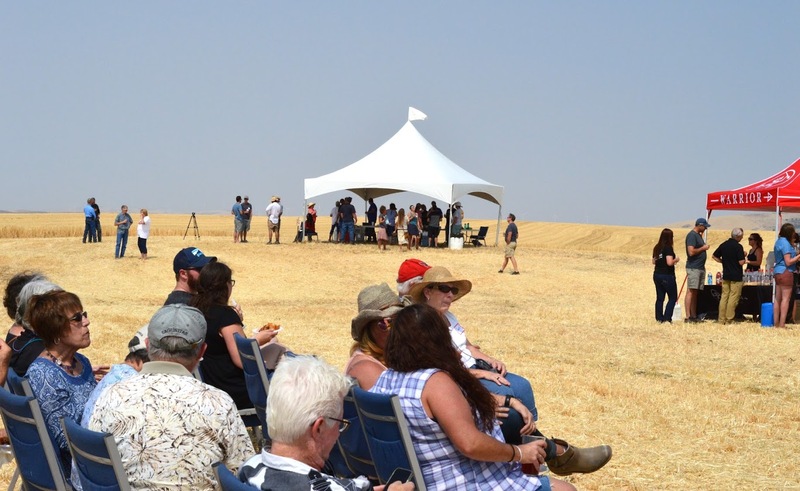 Join us August 18th, just outside of Colfax, Washington for Baronesse Barley Harvest Day! 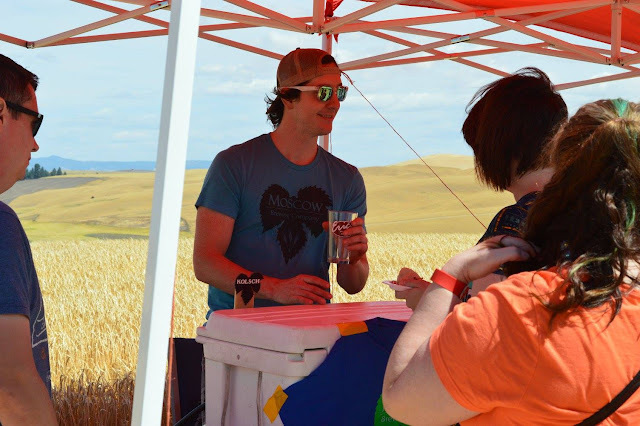 Stand in the field where the barley is grown, while enjoying brews and spirits made with Baronesse Barley. 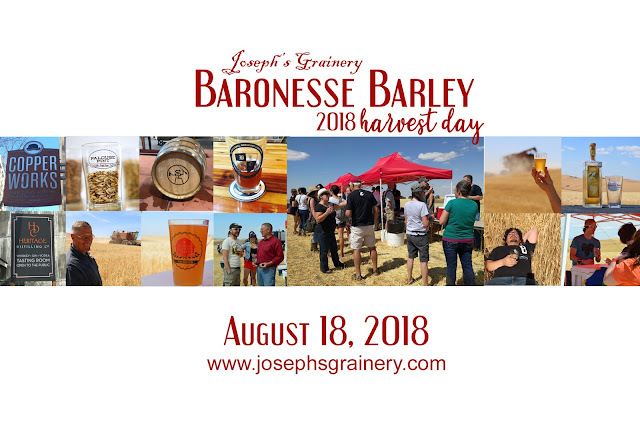 The Joseph's Grainery crew will be harvesting the 2018 crop while you tap your toes to local band, Tone Sober, and taste delicious bites made with Joseph's Grainery whole grain products. 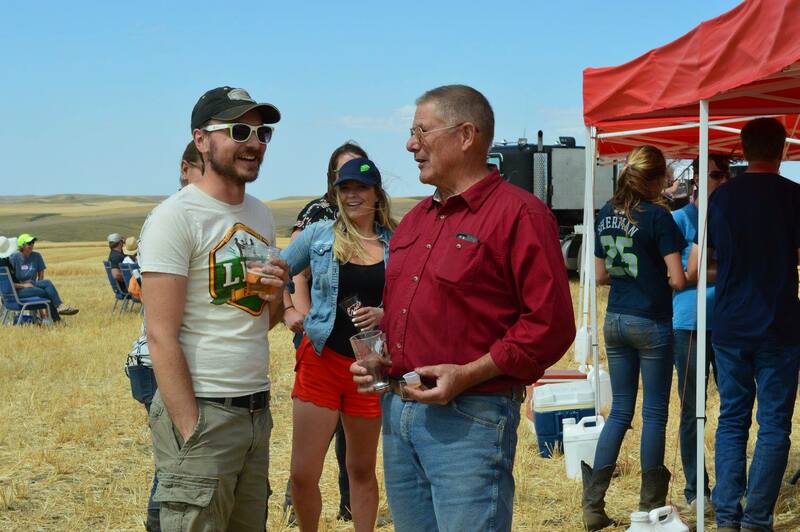 Bring your camera and your favorite friends - and experience a full circle moment - when you meet the farmer, maltster, brewers & distillers, while standing a field of Baronesse Barley! 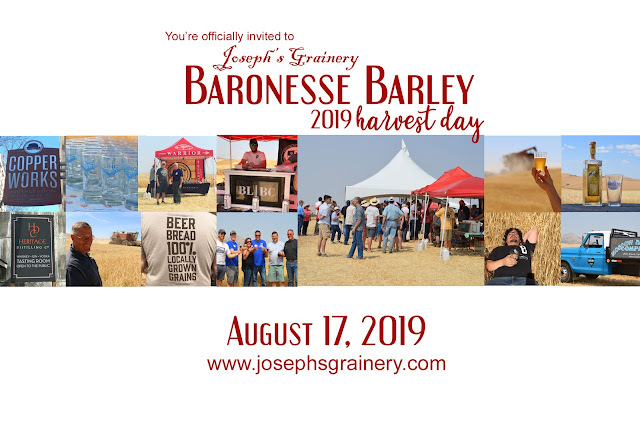 New this year - we'll be hosting a Baronesse Barley Home Brew Competition as a part of the Harvest Day! E-mail us for more information or to enter the competition. Make sure to RESERVE YOUR SPOT today (it's free) - it's the only way to ensure that you'll receive one of the Special Edition 2018 Pint Glasses! 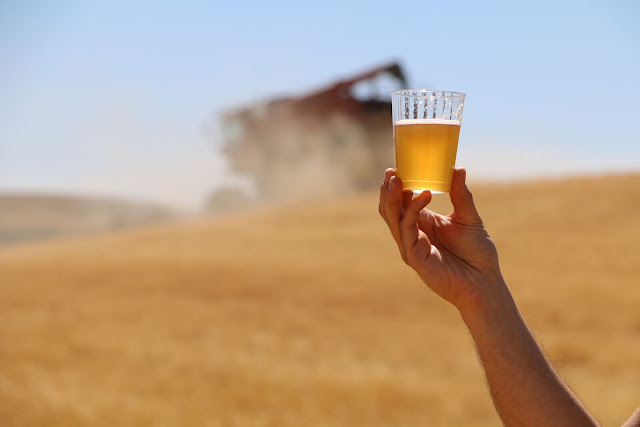 We at Joseph's Grainery and Palouse Pint have a unique combination of barley and malting that is not available any where else in the world. We raise Baronesse barley. Baronesse was bred by Nordsaat in Germany where they do not care about feed grains. Baronesse did not find favor with the large commercial malt operators in Europe at the time so they brought it to Washington State University in the late 80's. 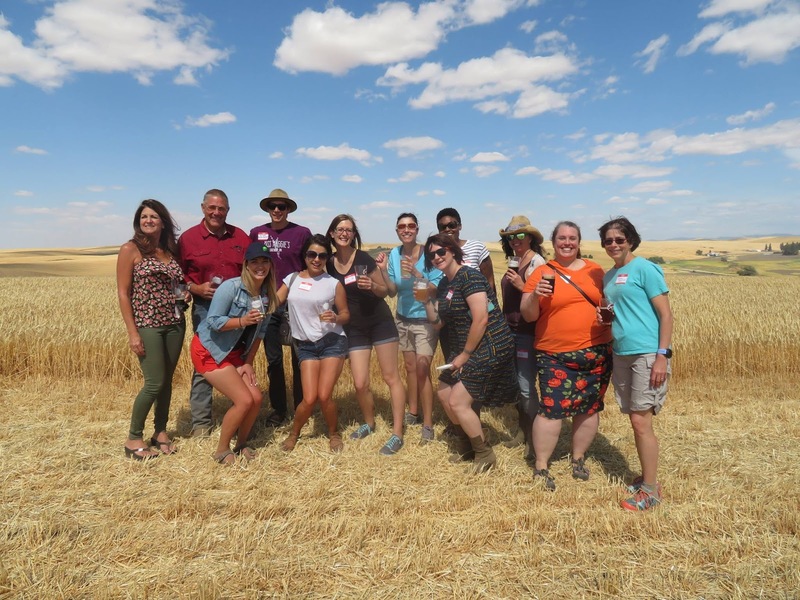 WSU, having no interest in malting barley in those days, referred them to Western Plant Breeders who marketed it as a feed barley. For the next decade Baronesse dominated the Pacific Northwest feed market. What everyone missed is that it has great flavor and is consistently plump and heavy. As time went on it was replaced by new feed varieties. Baronesse was getting harder and harder to find. We have always liked it and have been raising it since the early 90's. We hold back and clean our own seed, so we put up 3000 bushels in order to insure our supply. We liked the way it always made number 1 grades, frequently weighing 52 to 54 pounds per bushel. We have enough to last for a long, long time. Bill's son-in-law, the home brewer, decided to give some a try. It turned out great and he loved working with it, besides, the price was right. It was a distinct pleasure for Bill to drink a beer made from his own grain. Malt is the new hops! Enter, Joel Williamson. 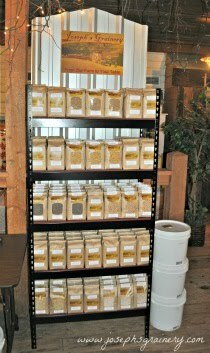 We run a small flour mill offering our flours and mixes for sale in grocery stores, co-ops, and on the internet. Joel had been distributing for us in the Spokane area and doing quite well for us. The next thing we know, Joel went to malting school and I started to get concerned. Our fear was that he was going to lose focus on our food business and turn his attention to this "malt thing". Not long afterwards, we get a call from him wanting to know how much barley we had and if I could clean around 20 tons for him. 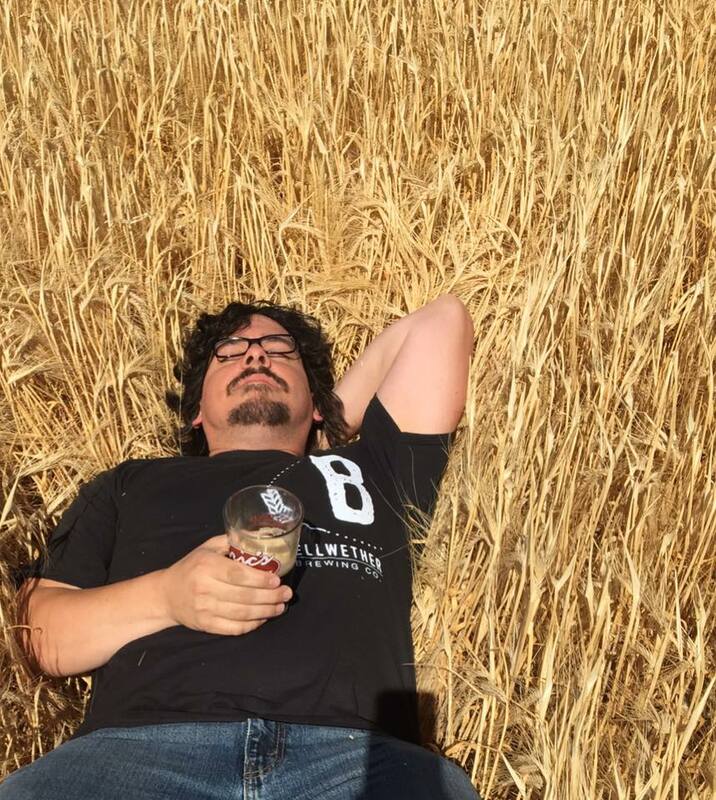 We were still thinking about food and couldn't imagine what he was going to do with that much barley. Joel had tried the standard malting varieties and wasn't getting what he wanted. Then he tried some of our Baronesse and discovered the secret that has been hidden for four decades. Baronesse is a great malting barley! He now has a local cadre of micro brewers in Spokane that love the stuff. We love the fact that Baronesse is now being used for it's intended purpose and people get to enjoy the great malt flavor only Baronesse can provide. 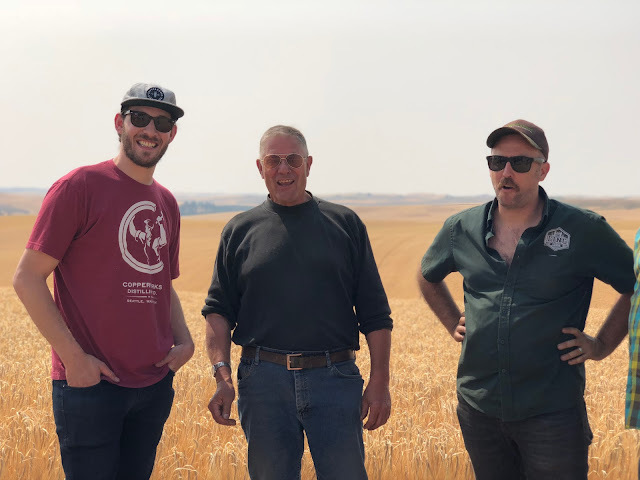 We say "only" because we believe that it is the unique combination of our soils and this very special barley that provides the unmistakable terroir of the Palouse. This is a real life rags to riches fairy tale for our little Baronesse. It is our intention that she and Prince Joel of Palouse Pint live happily ever after.